None that I can recommend, save your money until you can buy a radar detector that will save your but! 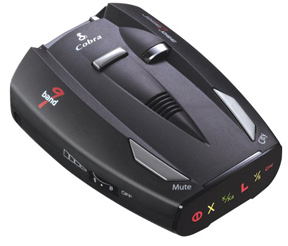 My chief complaint with most of Cobra’s radar detectors are false alerts and the ESD-7400 will drive you nuts! One of my chief complaints with Cobra has always been their outrageous claims of detecting more bands then there are currently utilized for police radar and laser, in this case 14! Face it Cobra there are only three radar bands used in the US, one laser band and if you include the European Ku band that only makes five bands! Based upon my 20 years in law enforcement as a certified police radar instructor and 15 years being involved in the speed counter measurement industry, I would classify the XRS-9550GG as no buy! There several detectors in this same class from Whistler in my opinion that are better performing units as far as radar detection. However my opinion in this case is NOT backed up by other reviews and feedback made by other automotive publications and happy Cobra ESD-7400 users that you will find online, a few of which are published at the end of this article. While the price of the unit may make it inviting, steer clear of this unit. Cobra radar detectors have a history of having well priced radar detectors but horrible performance.